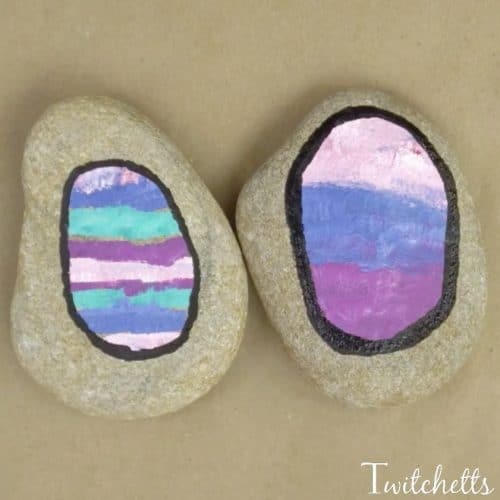 Beautiful and one of a kind Easter rocks. 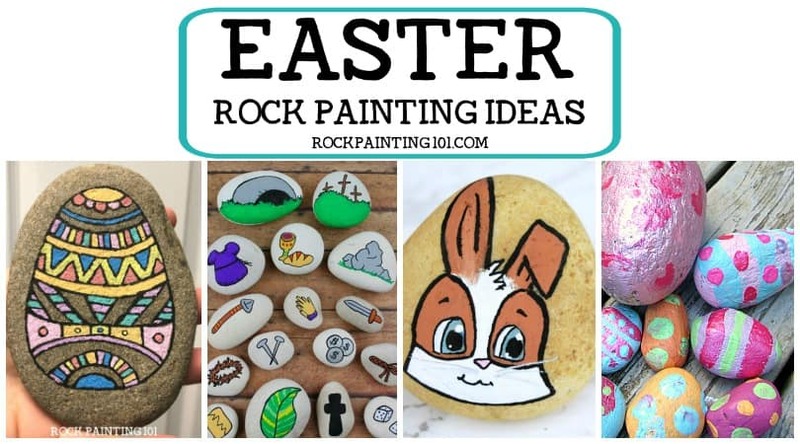 This rock painting idea for kids is a great way for them to make fun Easter egg rocks to hide around town or give to loved ones. 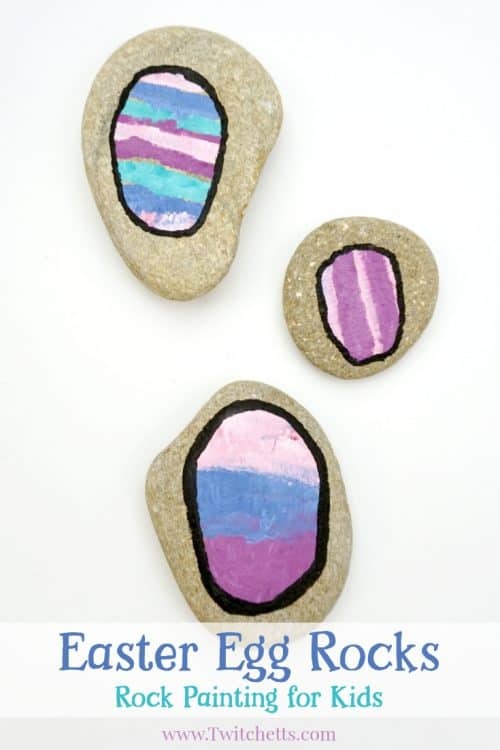 We love a rock painting idea that kids, or rock painting beginners, can really enjoy creating. 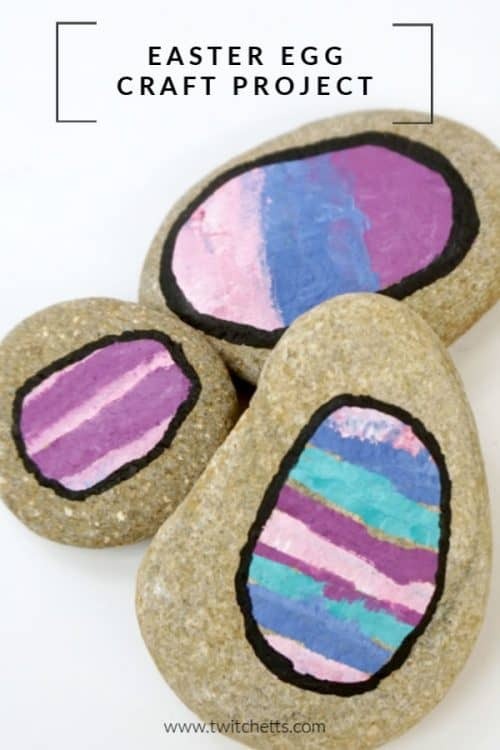 Using painters tape and a paint pen we are able to make these Easter rocks that even your youngest painters can help create! Clear Acrylic Spray. 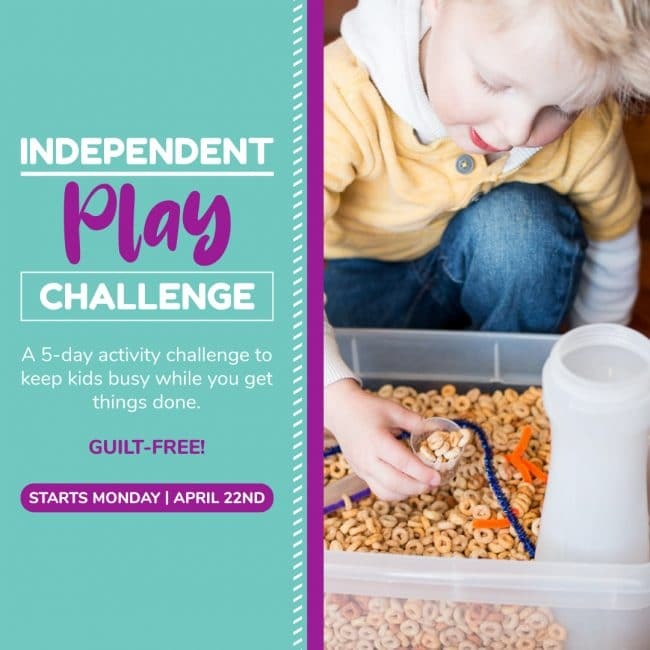 Optional if you plan to keep them for a long period of time or hide them in the outdoors. 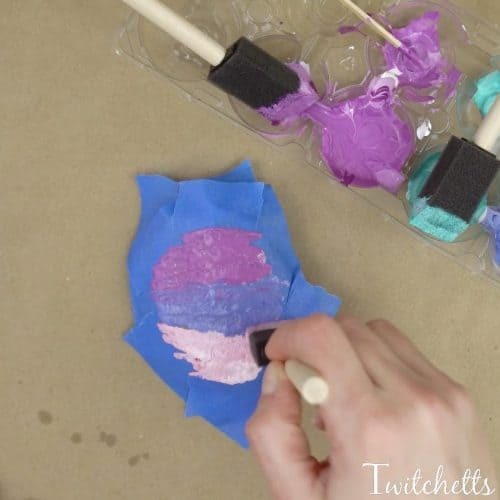 Using your painter’s tape, create a rough egg shape. 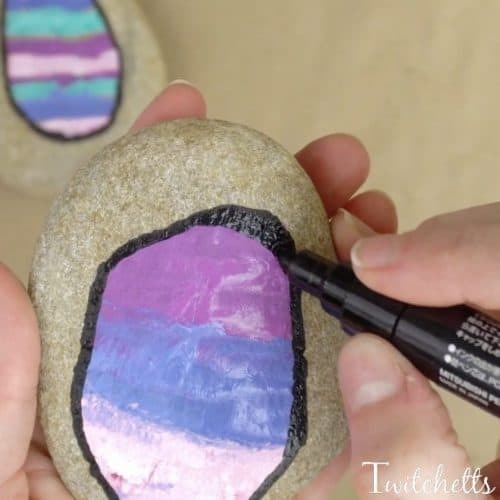 You can use straight lines on the rock to create as good of a seal as possible. It does not have to be perfect! 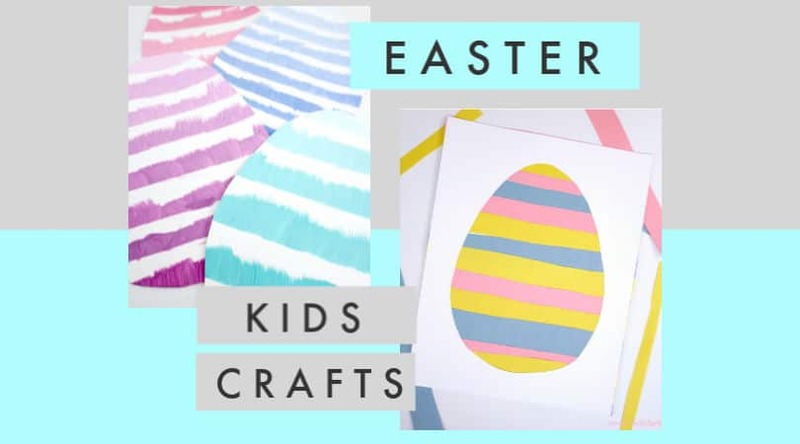 Related Project: Create beautiful Ombre Easter Eggs! 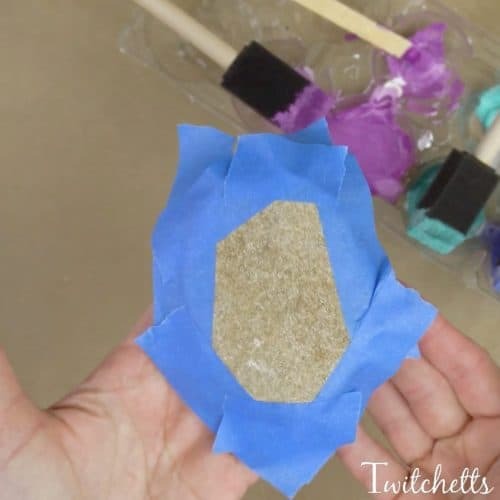 Let the eggs dry a bit, then remove the tape. Make sure the paint is completely dry before the next step. If you are in a hurry, you can speed up this process with a hairdryer. 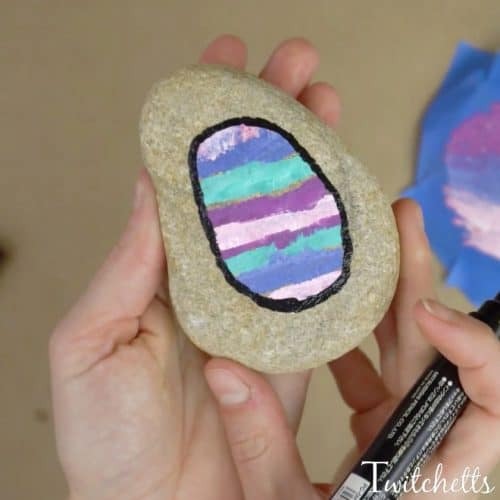 Once dry, use a paint pen to outline your egg. 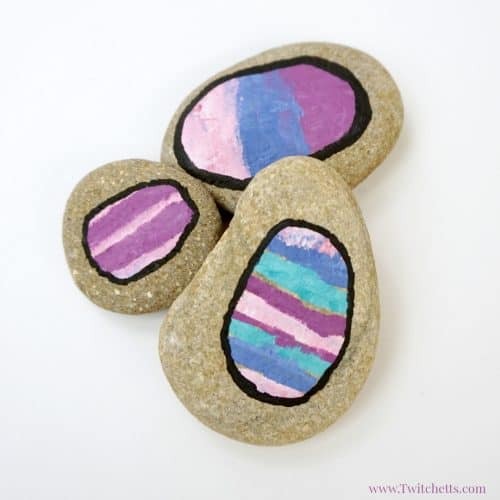 As you outline the edges, take the opportunity to make the shape a bit more egg-ish. 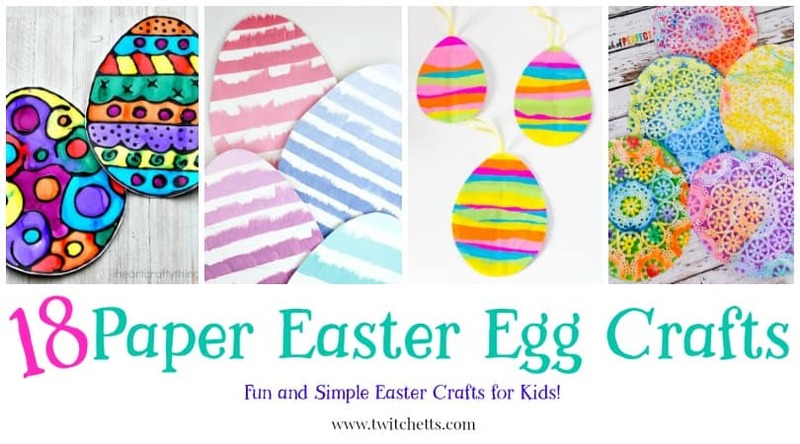 A thicker line can really fix a not so egg-shaped tape job. This was the one from the tape picture above. See, now it looks like an egg! 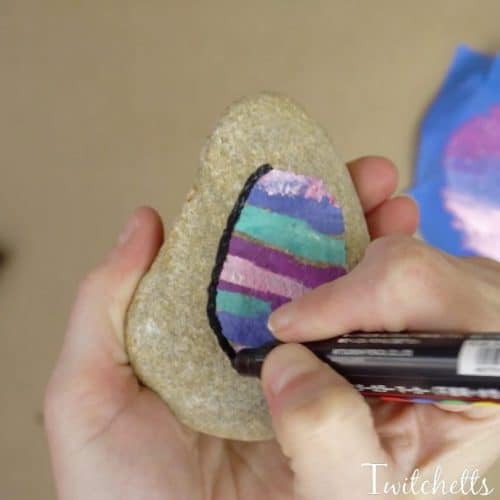 Watch the whole stone painting process in our video! If you are planning to hide your eggs outdoors, or keep them for years, spraying a clear sealer on them is suggested. 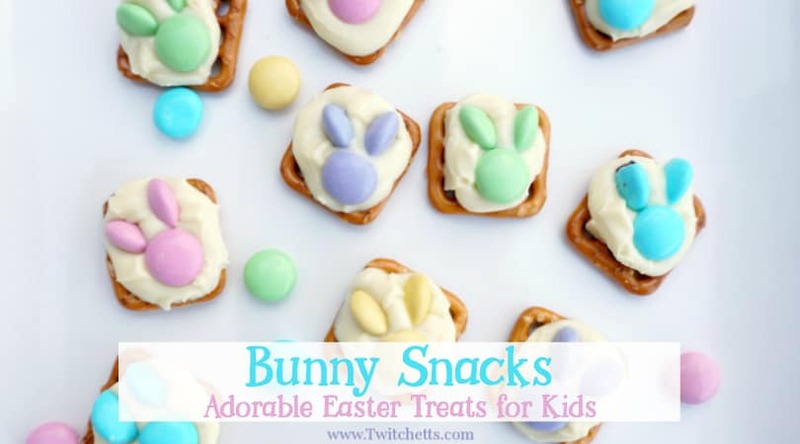 Make 1, 2, or 20 and have an egg hunt this year!